There are countless foundation options on the market. I love to try new formulas, brands, and even application techniques. 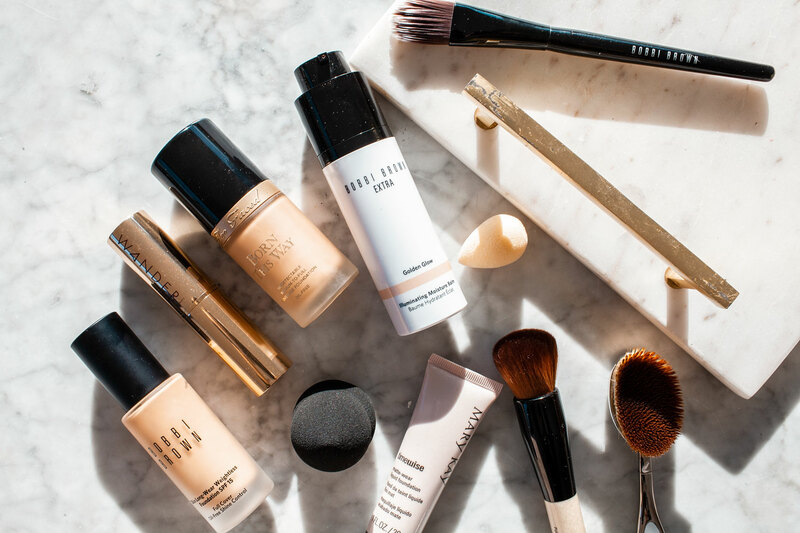 Whether you’re looking for a dewy glow, full coverage, or a barely-there look, there’s a product out there for you. Like most people I imagine, my makeup routine changes depending on my schedule for the day. I’ve found a few foundations that really fit my needs. 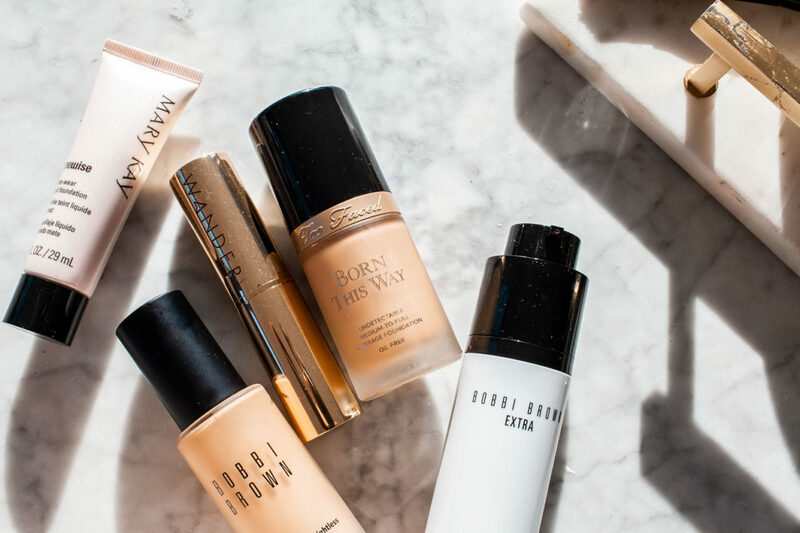 Here are 5 foundations I love right now. With over 7,000 reviews on Sephora, this foundation is definitely a fan favorite among beauty lovers. Too Faced is typically known for their cult following surrounding their eye shadow palettes but this foundation shouldn’t be overlooked. It’s available in 35 shades making it accessible to a lot of people. It ‘s a long-wear full coverage liquid formula. There are a few notable ingredients including hyaluronic acid (I discuss that here), coconut water, and alpine rose. The alpine rose is supposed to help support your skin’s health and resilience. You should also know it’s vegan, gluten-free, and cruelty-free. This first caught my attention when one of my favorite beauty bloggers shared the recent Too Faced concealer. While I was at Sephora, I decided to pick up the foundation, as well. This is a more medium to heavy foundation. On the days I want less coverage, I use this foundation with my Beautyblender. 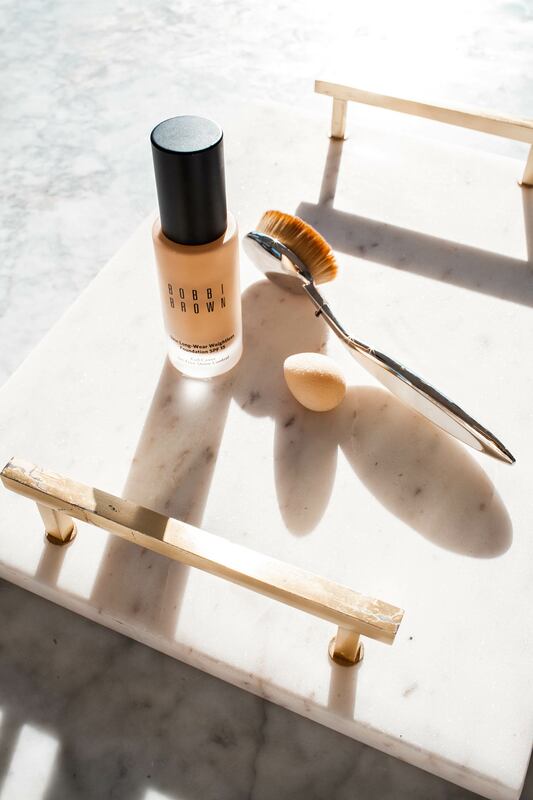 When I want to build coverage, I use my Bobbi Brown brush and layer the foundation. I typically do this for photoshoots and nights out in the city. This is a long-wear foundation, so you working ladies, don’t worry about this melting off half-way through the day. This one has you covered. Lately, this has been my #1 foundation. This product stands out a bit from the others but I love a good foundation stick. You can apply the product directly onto your face leading to less waste than with traditional liquid formulas. It has a creamy formula with buildable coverage suitable for sheer, medium or full coverage looks. It contains a blend of coconut oil, hyaluronic, and vitamins c and e to keep your skin properly moisturized. The shade range is on the limited side at only 7. This foundation is also cruelty-free and gluten-free. I’m busy, you’re busy, we’re all busy. Foundation sticks are my favorite when I need to GO! With four swipes on my face, blend, contour, blush, brows, and mascara, I’m ready. This particular stick is so moisturizing and gives me the dewiest finish. 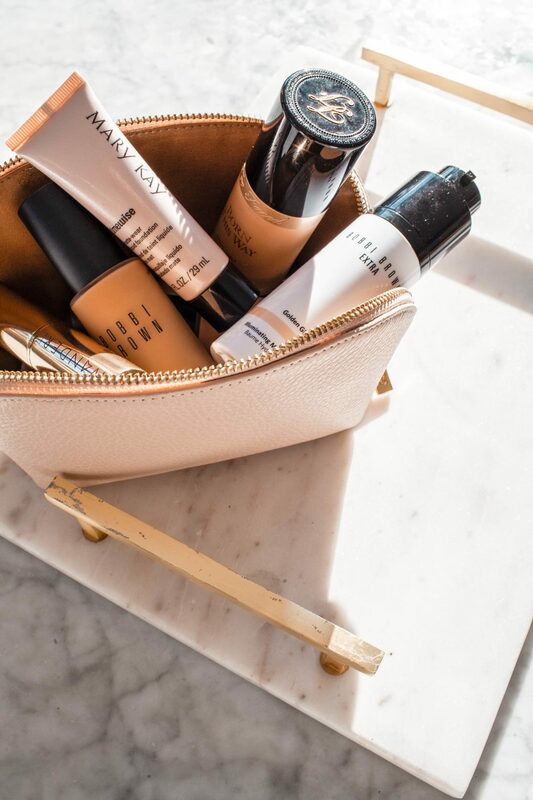 With all foundations sticks, there is less product, but it’s better suited for “on-the-go” beauty routine. Wander is a new company and like I mentioned above only offering 7 shades. I assume as they become more well known in the industry, we’ll see a more robust shade range from them soon. Bobbi Brown is one of my favorite brands out there. There seems to be a noticeable difference in makeup artist brands. This foundation is available in 30 shades and is also gluten-free and vegan. It offers buildable medium to full coverage in a liquid formula. The foundation is produced using a cold fusion process ensuring the proper balance of ingredients. The formula uses natural mineral powders and marine sugar cane algae extract to control shine. It also utilizes glycerin to ensure your skin stays hydrated. The SPF offers additional protection for your skin on top of the measures you already take. 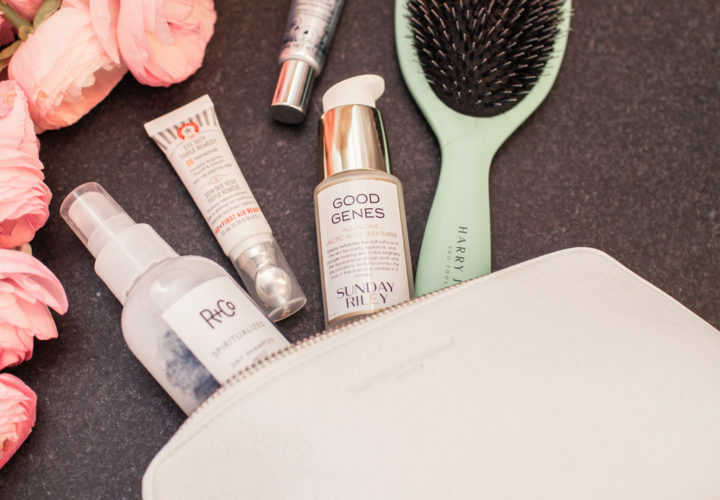 When I think about Bobbi Brown, I think of consistent and more “natural” beauty products. This long-wear weightless foundation is just that, it will last all day. However, you’re not going to feel like your skin is cracking at the end of the day because you have layers of makeup caked on. This gives a very natural look, which makes this an amazing foundation for an office environment. Overall, it’s a beautiful color and foundation. Mary Kay is another one of those brands that I love using and have a huge amount of respect for. I recently tried out their Chromafusion Eye Shadow collection and highly recommend it. 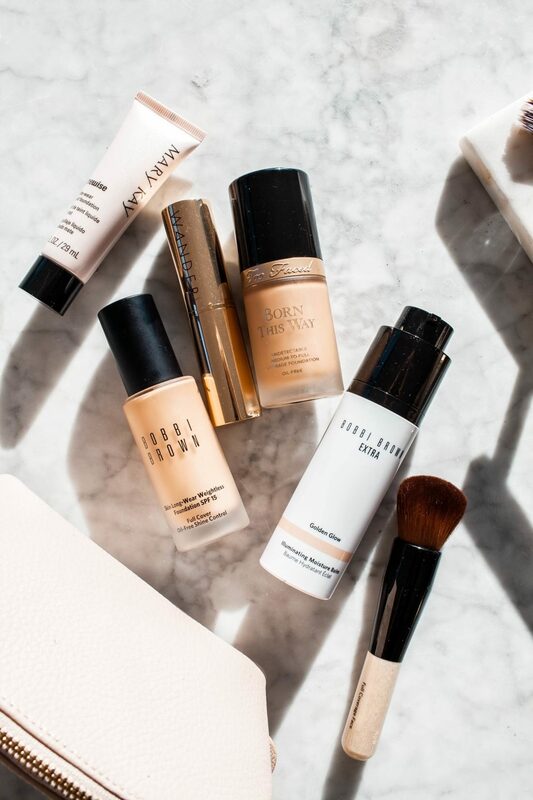 Ever wish you could blend your skincare routine with your foundation? This formula contains vitamin E and peptides designed to leave your skin looking younger and healthier while you use it. You’re treating your skin while you use this product. It’s available in 23 shades and has a matte finish. The Mary Kay liquid foundation was first introduced during NYFW in September. 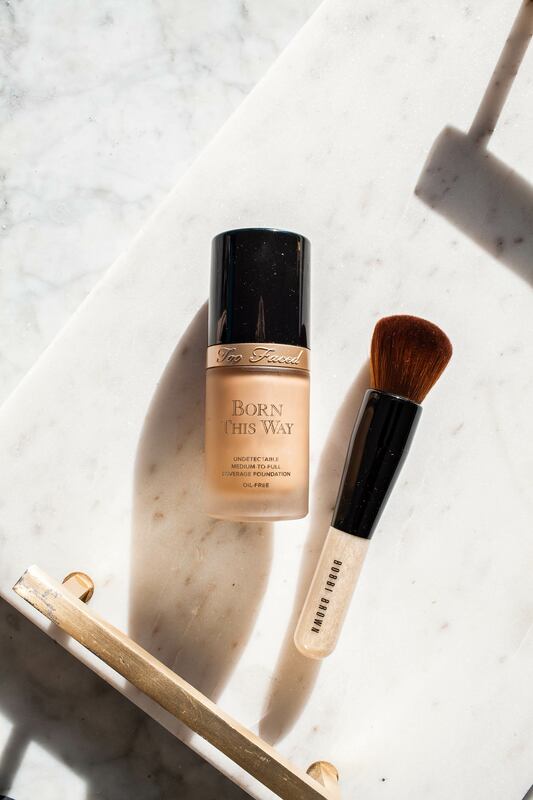 Much like the Bobbi Brown foundation, it gives you the perfect amount of coverage without feeling like you’re wearing a mask. I love the creamy finish of the foundation. I also love the fact that I can just throw it in a bag and not worry about it breaking. This is an ideal option for those needing a daily and easy to wear foundation. It also seems ideal for sensitive skin since it’s lightweight and soothing. Given my love for this brand, it’s no surprise they made the list twice. This isn’t a true foundation. This option is perfect for those that don’t like to wear foundation or those days when you don’t want a full face of makeup. It’s also perfect to mix in with your current foundation for an extra glow. It’s available in 3 shades depending on your skin tone and desired effect. There’s a lot of versatility. It provides an instant moisture boost as well as a subtle glow with just a hint of color with pearl particles. It’s vegan and paraben and sulfate free. Although this is not technically a foundation, I couldn’t resist sharing. It’s similar to a bb cream. I love the color coverage, but also that the balm illuminates the skin. If you want something lightweight that doesn’t make you feel like you have a full face of makeup on, give this a try. It brightens the skins and provides you with an even skin tone. You can’t layer this balm. It’s something you use when you want to give yourself an evened out look. It’s not necessarily for a night out with friends. This is a face brush that can be used for applying both liquid and powdered foundations for a matte finish. The tightly packed bristles are short and designed to deliver just the right amount of product. Use a stippling technique for application. You ladies love this brush! I have two, so I understand the love of this full coverage face brush. It’s been ideal to build coverage, but it does need to be washed often. Unlike some of my other brushes, the effects of the brush are not the same after I use 1-2 times unless it’s been cleaned. Yes, ideally I should wash after every use, but that’s not always possible. You can use this brush to apply liquid, cream, or powder including foundation or bronzer. This particular brush is a multitasker. You can use it to blend your foundation. It also works as a sculpting tool to contour your jawline and cheekbones. Start off with as little product as possible and build up as needed using a light touch for application. 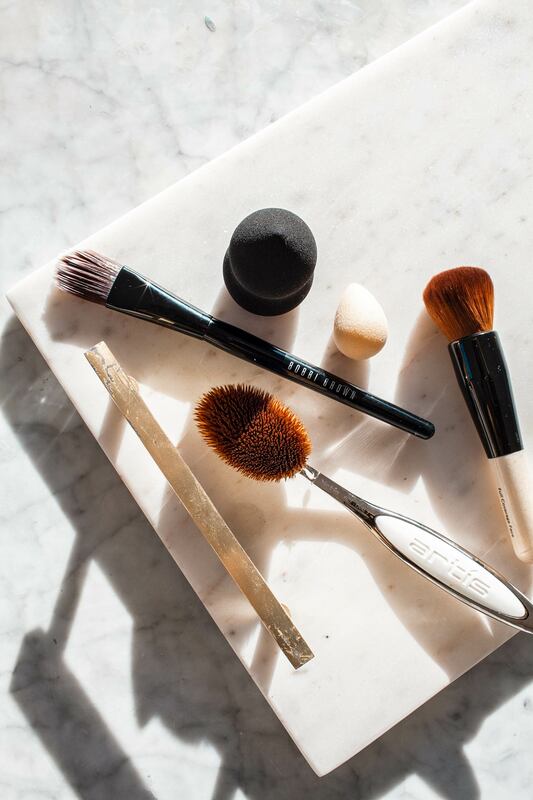 There are so many things you can do with the Artis brushes! I like using it to blend illuminator and foundation, but I also use it for my primer. I’ve found that it’s best to use for a light finish. It’s not my first recommendation for building foundation for more full coverage looks. This brush can be used with all foundation formulas. It’s designed to deliver a flawless finish with angled bristles. The design allows you to blend, layer, and shade expertly. Use a light touch for application starting with product application around the nose and blending out. Lately, I’ve been uisng this bush a lot, especially with my foundation stick. I can spread out my foundation without all of the product being absorded in my Beautyblender. This specific brush came in a set I included below, which I highly recommend. This is the same Beautyblender but in the preferred makeup pro color, black. It’s a reusable cosmetic sponge that can be used with a multitude of products and formula types including foundations, complexion products, and even self-tanners. To use, wet the Beautyblender, squeeze out the excess liquid, and use a bouncing motion to apply the product. I love my Beautyblender and I use it daily. There’s nothing that gives me a streak-free finish like the Beautyblender. If you haven’t tried it, I highly recommend testing it out. It blends your makeup and gives you a beautiful finish. Keep in mind, this needs to be cleaned often, but I have found that cleaning it with a bar of bar soap is the easiest and fastest way to get a clean Beautyblender. This is a mini version of the original Beautyblender. It comes in a pack of two. It’s designed to focus on contouring, highlighting, and concealing. You use it the same way you do with the original Beautyblender by wetting it first, removing the excess water, then applying product with a bouncing motion. Similar to the Beautyblender Pro, the mini helps to get in the smaller areas on my face. I use these 1-2x a week. It’s great to blend specific areas. This kit contains all of the brushes you’ll need to complete your look. It includes multiple brushes for foundation and concealer as well brushes for eye color and liner. They’re all contained in a faux leather carrying case with handle. This is the collection that contains the Bobbi Brown Professional Foundation Brush I mentioned above. What is your favorite foundation? I’m always looking to try new ones!